Reconfigure your gathering spaces to foster connection and conversation with real live people rather than facing couches and chairs toward the TV or game screen. Exchange Facetime for face-to-face time with your spouse, kids, parents, friends, and neighbors. Rearrange and add a few updates to make your home inviting. Prepare to spend quality time with family and friends by keeping your spaces feeling fresh with cut flower arrangements, potted plants, and something from nature in each room. Pull in a new accent color from your existing décor and add it with a comfy throw, an area rug, or some fun pillows to brighten your spaces and make them more inviting. Come up with a plan to keep your home clean. Assign daily duties to each person in your home to verify dishes and laundry are up to date daily, and each day ends with everything in its place. Weekly duties can be split up and conquered in a brief period of time if each family member does their part. Assign one person all the dusting and vacuuming, a second person to all the bed changing and bathroom cleaning, and a third person to the kitchen and trash cleanup. Clean rooms from top to bottom and in a clockwise fashion. Carry your portable cleaning carryall from room to room with all your supplies in it. Do all of one type of cleaning at a time: put all dishes away, then wipe down all kitchen counters before sweeping the kitchen floor. Clean your home’s mirrors and glass-top tables, then move on to the furniture. Untidiness and messes distract us from our priorities, making it challenging to unwind and relax in our home. Decrease stress by dealing with clutter in the home one room at a time. Deal with each item in each room by either putting it away, throwing it away, or giving it away. The more you clear out clutter, the better you feel each time you enter your home. And don’t forget the garage and outdoor spaces surrounding your home. Pull weeds, trim bushes, and edge sidewalks, and your space will be much more inviting to pull up to after each work day. Home improvement goals aren’t complete without doing all we can to go green. 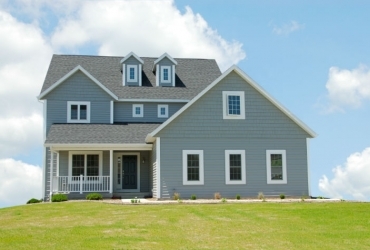 Reduce your carbon footprint by upgrading siding, windows, doors, and insulation. Additionally, replace incandescent bulbs with LED bulbs for energy efficiency, and use low-flow showerheads. Add a smart thermostat to your home to conserve your use of heat and air year-round. Upgrade to Energy Star appliances to decrease energy costs: refrigerator, dishwasher, and hot water heater. Simple, old-fashioned habits can also help save on monthly bills and decrease your carbon footprint. Turn off lights when you leave a room, turn off the air conditioner when you leave the house, and turn down the heater at night. Run the dishwasher and washing machine only when they are full, and maybe even try drying some clothes on a clothes line—you may just be surprised at how refreshing they smell! Try watering your yard less, plant drought-tolerant landscaping, and begin to compost to prepare for next year’s garden. Check for radon, the colorless, odorless gas that causes lung cancer from the radioactive particles it traps in the lungs as one breathes. A test kit can be purchased at your local hardware store for as little as $20. Additionally, get a carbon monoxide detector for every floor of your home with bedrooms in it. If your chimney flue gets blocked or your furnace leaks, carbon monoxide could back up in your home, and that could be fatal. For about $40, you can get a good carbon monoxide detector and relieve the potential worry of a problem. Clean the dryer lint from the vent ducts behind your dryer to prevent fire hazards. Lint is highly combustible and accounts for thousands of fires each year, so prevent problems by simply cleaning your lint vent regularly. Purchase a fire extinguisher for each floor of your home and mount it in a centrally located spot that is easily accessible for your family. It’s important for your home to breathe. Open windows and detox the air at least 15 minutes each day as many days of the year as you can. Be sure bathrooms and attics are vented to the outside to decrease the possibility of unwanted mold growth in your home. Boost your curb appeal by repairing or replacing your existing siding to bring a great first impression to not only your guests, but also potential home buyers when it’s time to resell your home. You only get one opportunity to make a good first impression, so secure a positive response with upgraded siding and a fresh coat of color to enhance your home exterior. Brighten your home with a new door that adds a pop of color to accent your home’s beauty. 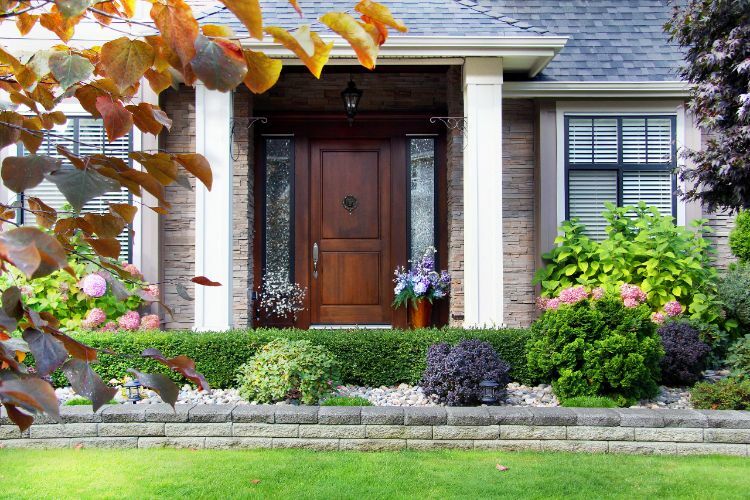 Add a decorative pot of fresh flowers on the porch, and a seasonal wreath on your front door to create a focal point. Trim bushes and your yard’s edges, and add colorful flowers to line your walkway and welcome all who enter. Make 2019 the year you take care of yourself by taking care of your home. Imagine yourself enjoying coming home again. Siding King serves homeowners in Nashville and its surrounding areas as reputable James Hardie siding contractors. Schedule a free consultation with Siding King today.